Last one in a series of four. Sailor’s Grave, Fair in Paris, Wagner’s Wild Wood and the last one Vodka Forest. 45x40x11cm (18x16x4inch). 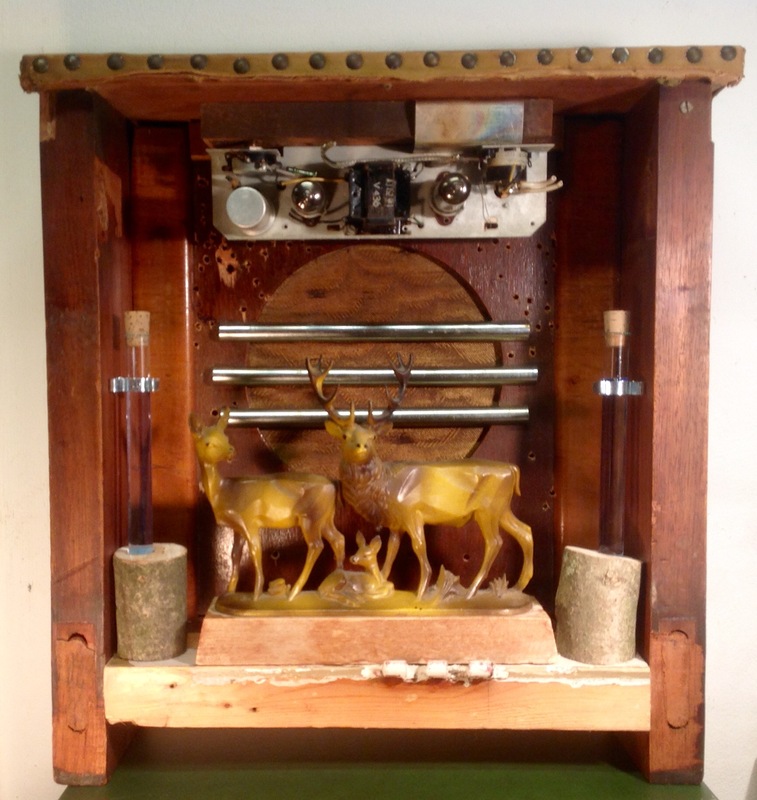 Parts of an old chair from a church, scrapwood from the Zaanstreek, parts of a dead tree from Schakenbosch, deers, front of a thirties speaker in the back, parts of a tube radio above and left and right two test tubes that will be filled with vodka. Vorig berichtWagner’s Wild WoodVolgend berichtSparta naar voren!